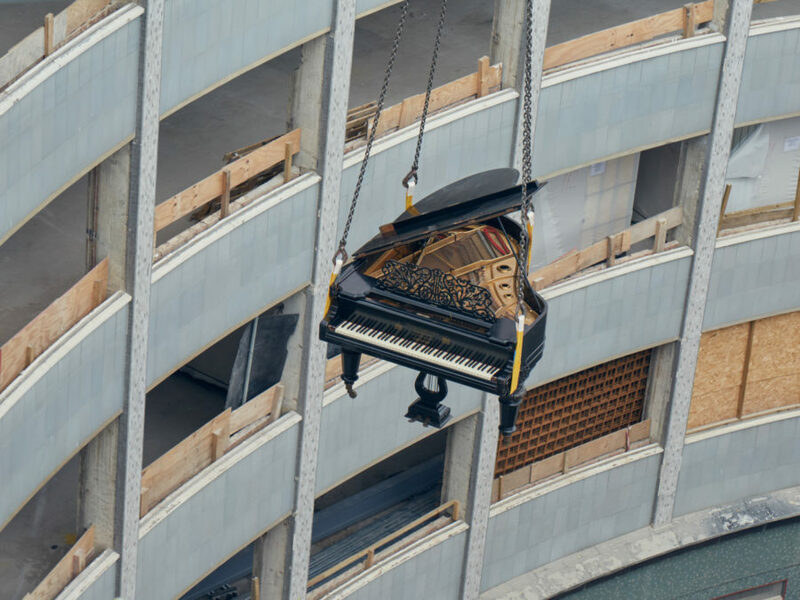 On Sunday 17 July 2016, a grand piano was suspended over Television Centre's iconic Helios building by artist Catherine Yass as one of eight artist residencies at the west London site. Catherine Yass has represented the UK at the Indian Triennale and was shortlisted for the Turner Prize in 2002. Her work features in a number of major important collections worldwide including Tate, London. Catherine Yass's proposal evokes the presence and absence of the building, and was created as a tribute to the site's heritage. It builds on a body of work that engages with extraordinary aerial views and daring actions – from Descent, made from the top of a crane in London's Docklands in 2002, to High Wire, commissioned by Artangel in 2008 and made on the Red Road Estate, Glasgow, a film which charted the progress of a tightrope walker from one tower to another. 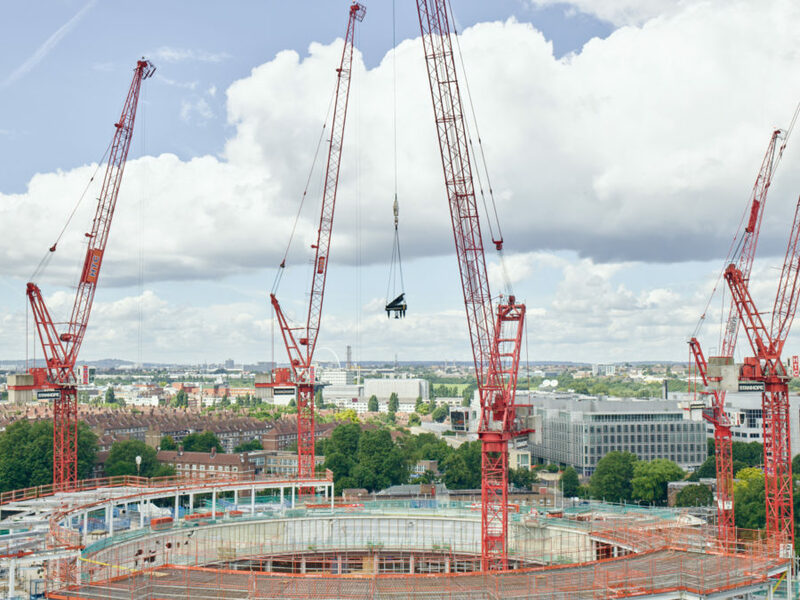 Chosen from over 360 submissions to an open call, each artist responded to a brief to create a unique experience in the site's East Tower, which is set for demolition and redevelopment later in 2016. The residencies have been commissioned by White Noise, a live research project about urban change supported by Stanhope. The artist residencies are running between 9 June and 31 July 2016.